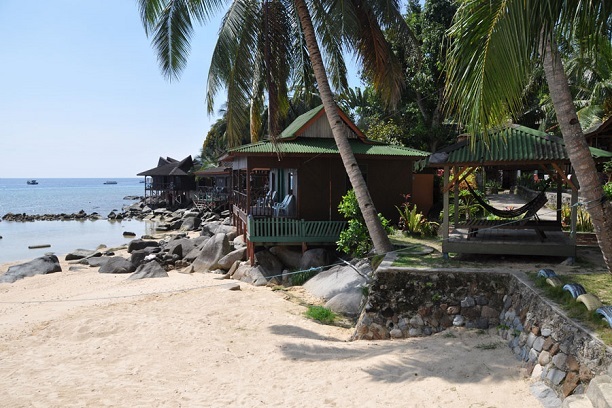 Salang is located in the north of Tioman. You can get there by boat, for which you can book tickets on this site, and the plane (Berjaya Air). The beach is most visited by backpackers and individual travelers looking for a place to dive, plenty of night life and cheap accommodations. Salang has changed considerably since the start time. As more people came, Salang developed. That is not difficult to understand, because during holiday periods and school holidays it is still very busy. Malays and tourists from Singapore came to the island more and more. It is still relatively cheap nowadays to come to the island for a weekend. Reservations must therefore be made in advance, otherwise you may have to sleep on the beach. Everywhere you are ... everywhere are people ... on the beach, in the shops, in the restaurants, in the water! In such a weekend it can suddenly become very busy, but after the weekend the peace returns. Weekend travelers and holidaymakers return to the mainland and their homes. The crowds die away and the islanders regain their idyllic way of life. 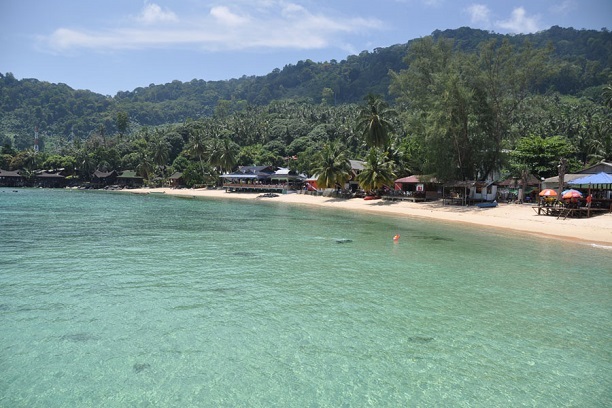 Despite the 'tourist pressure' on Tioman, the beauty of the island of the island and the beach of Salang have been preserved. For many island visitors with Tioman as final destination, daydreaming can start again. But also the fun in the form of music and evening entertainment remains fully present. The picturesque wooden jetty has been replaced, which has served the small village community of Salang and its guests for so long. A concrete climber has now returned. In addition, the local authorities have just built a large food court at the jetty, expecting more tourists to visit Salang in the coming seasons. Little by little Salang loses its charms of a fishing village and focuses more on the new economy: tourism. Along the 700 meter long beach there are pubs, restaurants with Western, Thai, Chinese and local dishes, supermarkets, Ramly burger stalls (local hamburger shops) and diving centers. In Salang most chalets are comfortable and suitable for different budgets. The prices vary (from 9 Euro) for a simple hut with fan and adjoining bathroom to a chalet with TV, refrigerator, hot water, adjoining bathroom and air conditioning (from 25 Euro). The cheap chalets are nothing to write home about, but are comfortable enough for a good night's sleep after a day of diving, or other strenuous activities. They also offer protection from rain and wind. NB: Salang Beach has its good and bad sides. There are travelers who absolutely love a place where the cafes are and where people hang around 'pubs'. There are others who can not bear the crowds and seek peace. So for those of you who want to see Tioman and seek peace - go to Juara or ABC. But for those who follow the paths that are most recommended, as you can read in travel guides, Salang is a good choice. Then you also have a nice island vacation. 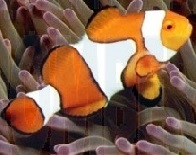 For divers, Salang is a good choice, because it's close to the better dive sites. If you prefer to stay in Salang, but still want some peace and quiet, head to the end of the beach - towards Salang hut and Ella's Place. 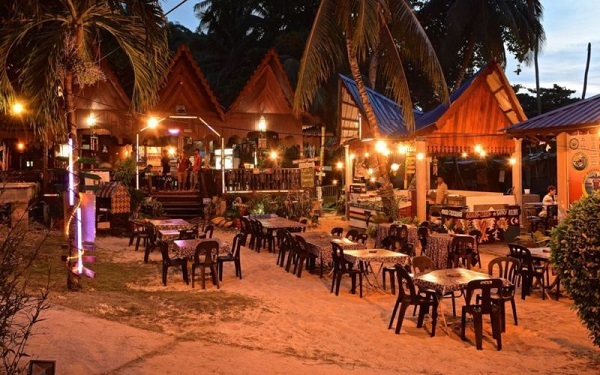 Although the beach there is a bit rocky and narrow, it is not as crowded as on the other side (closer to the jetty), but expect nothing more than a simple basic accommodation ..
Salang Dream Restaurant - Has western and local dishes and in the evenings barbecue is very popular with guests. Anyone who would like to catch up on news will tune the restaurant to CNN most of the day. Steaks are available in high season between June and August. Restaurant Salang Indah - The same owner as Salang Indah Resort. Housed in a grotesque building with balustrades around, right in the middle of the beach of Salang. Fortunately, the only development on the beach so far. Serves Malaysian, Thai, Western and Chinese dishes and offers simple pancakes, ice cream and fresh fruit juice. Reasonable. Chinees restaurant Salang - A spacious restaurant on the south side of the beach that caters more to locals and Singaporean guests. The White House - The last restaurant at this southern end, just before Ella's place, is painted green and serves fresh coconut juice and delicious fresh seafood - barbequed with homemade spicy sauces for dipping. The prices here are good and hospitality is great. Bring your own beer that you can buy at the nearby pub (next to DiveAsia). I do not want to miss this place. A simple village house, a few tables under the coconut palms and a small open hut for the barbeque pit. Monkey Bay ( Telok Berus) - If you drive south on a relatively broad headland that you can reach from the southern end of Salang beach, there are two relatively secluded coves with white sand beaches. Monkey Bay is pretty popular with snorkel trips and sometimes it can get a bit too crowded, but otherwise it is a nice place for lonely beach. Monkey Bay has a small river and shady spots for a picnic. Taxi taxis can drop you off here, if you prefer not to walk. Panuba Bay - The next beach south of Monkey Bay is Penuba with only one resort; built on the hillside overlooking the sea. This resort has been praised by many for their solid efforts in environmentally conscious activities. ABC (Kampung Air Batang) - The other popular beach of backpackers on this side of the island, ABC is by the end of the season beautiful around the end of October, when on some days there would be only a handful of visitors.